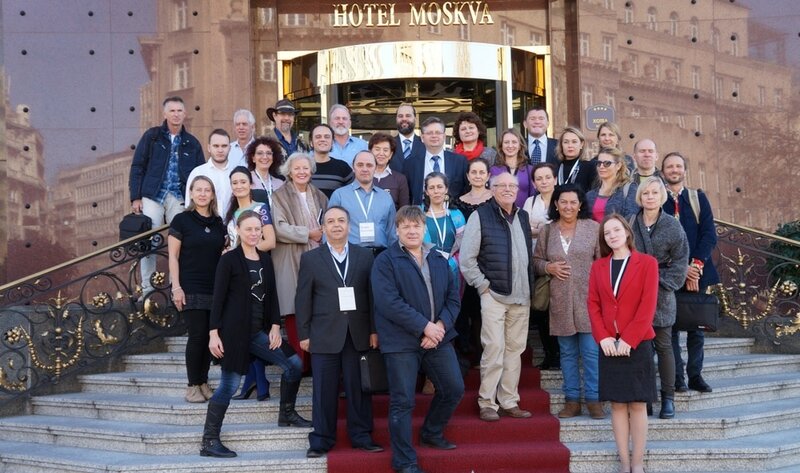 On November 18th, the oldest hotel in Belgrade “Moskva” opened its doors for our users and partners. 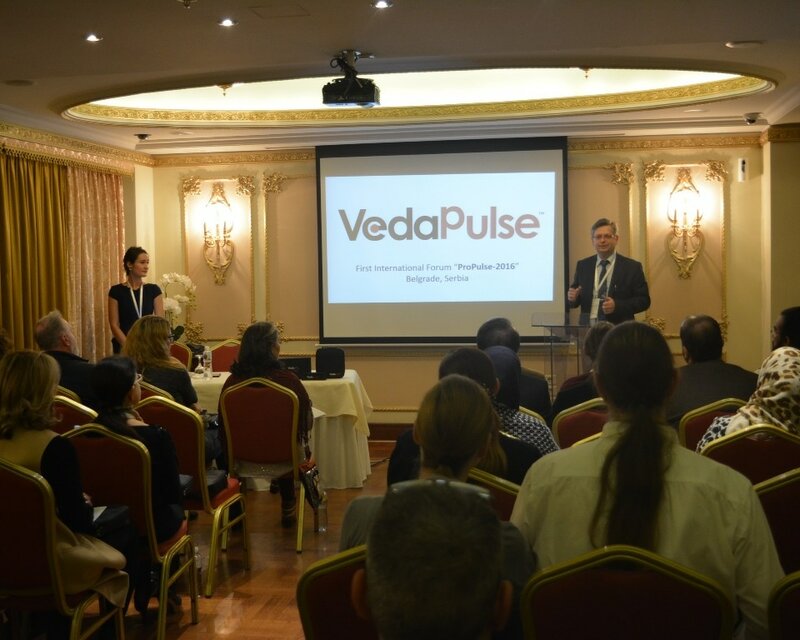 Representatives of 18 countries came to Serbia with one goal – to receive deep knowledge about the benefits of the VedaPulse pulse analysis system from the leading developer Dr. Oleg Sorokin and his team, and dive into the world of Ayurveda, pulse diagnosis, Traditional Chinese Medicine, Naturopathy and modern technologies. 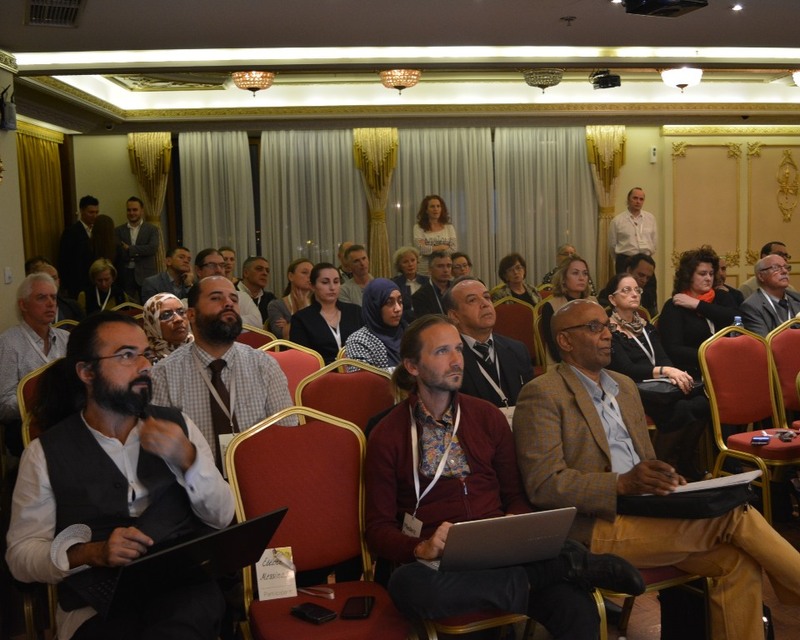 At the opening of the forum Oleg Sorokin told all participants and partners about the future of the VedaPulse technology, which is destined to become a global telemetric network or global ecosystem for specialists in the field of traditional medicine. This network will include cloud technologies, system of remote client consultation, expert consiliums for specialists, global educational platform in the field of traditional medicine, technology for accessing the plant endemics and medicines from all over the world (VedaHerbs project), evaluation of the genetic predisposition to certain diseases, as well as the large number of other therapeutic technologies. ​Slowly we are getting back on track. It has been a wonderful but tiresome trip. We invested a lot of hours but it was worth it. 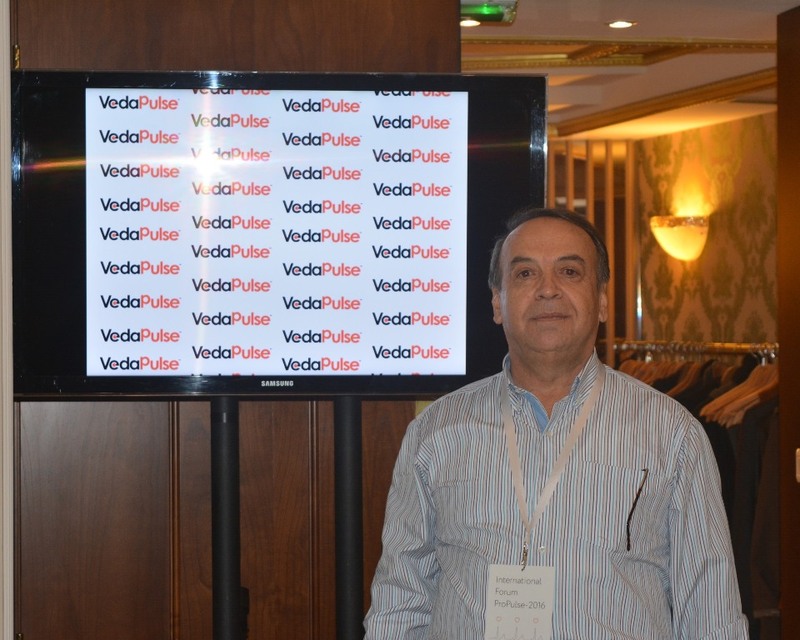 The VedaPulse team pulled of an amazing job in organizing ProPulse 2016, the first International Forum for VedaPulse. It was a pleasure to meet dr. Sorokin and his team and with a great sense of service, you’ve all managed to bring the attendees a great deal of knowledge on both a technical and marketing level. Like the VedaPulse system your event showed the same level of performance: high quality and very user friendly. I can’t wait to start working on the number of programs we initiated during the event. Thank you very much for an awesome kick-off to a no doubt fruitful cooperation. Joyce and I enjoyed ourselves professionally and personally. We are looking forward to work on the different programs we initiated during the event and hope to see you all at ProPulse 2017. ». 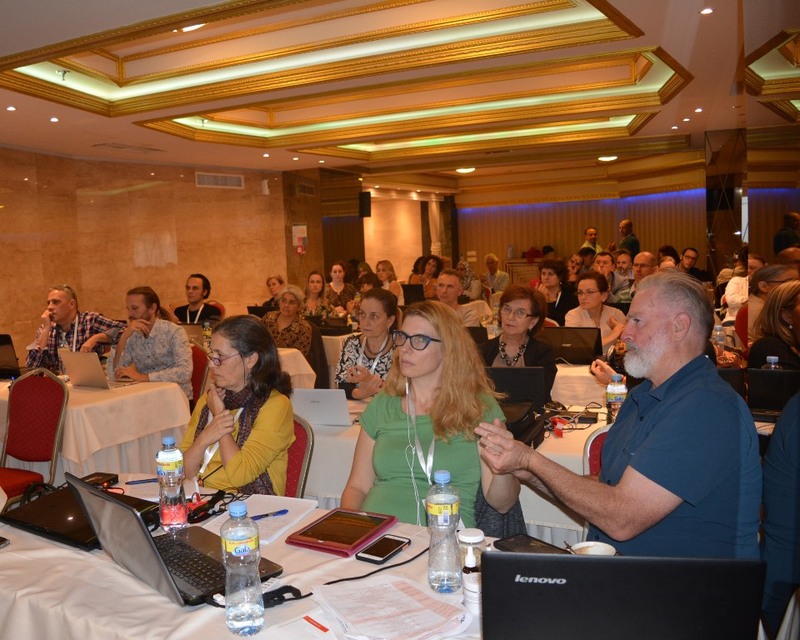 Second day of the forum was promising to be interesting and eventful – participants were preparing for a dive into theory on the two topics – basics of pulse diagnosis (lecturer Oleg Sorokin) and interpretation of the VedaPulse data from the perspective of Traditional Chinese Medicine (lecturer Sergey Kosintsev). During these lectures, the experts made a focus on the frequently asked questions that both beginners and experienced users of the VedaPulse face during their work. 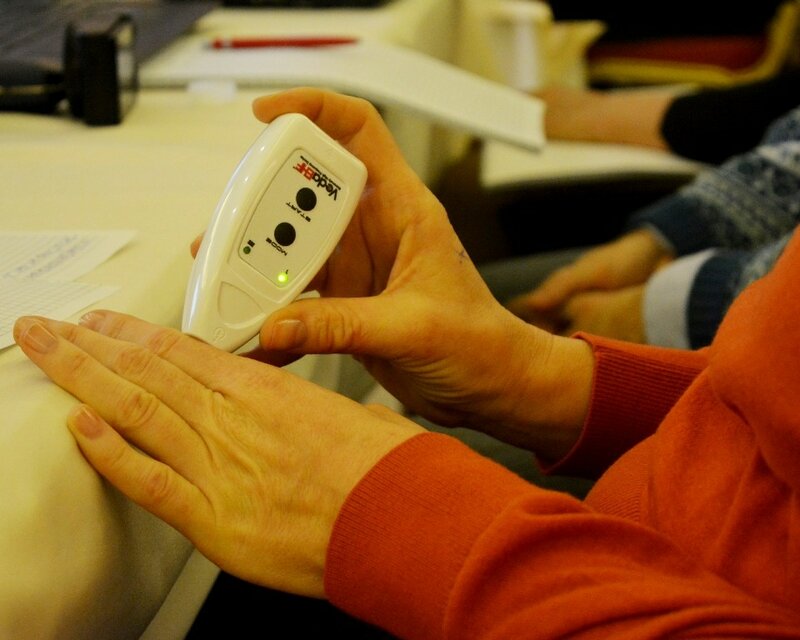 In his lectures, the main ideologist of the project – Oleg Sorokin – paid special attention to the basic algorithms, through which the academic technology of heart rate variability allows specialists of traditional medicines evaluate the constitution of a person and current functional state. 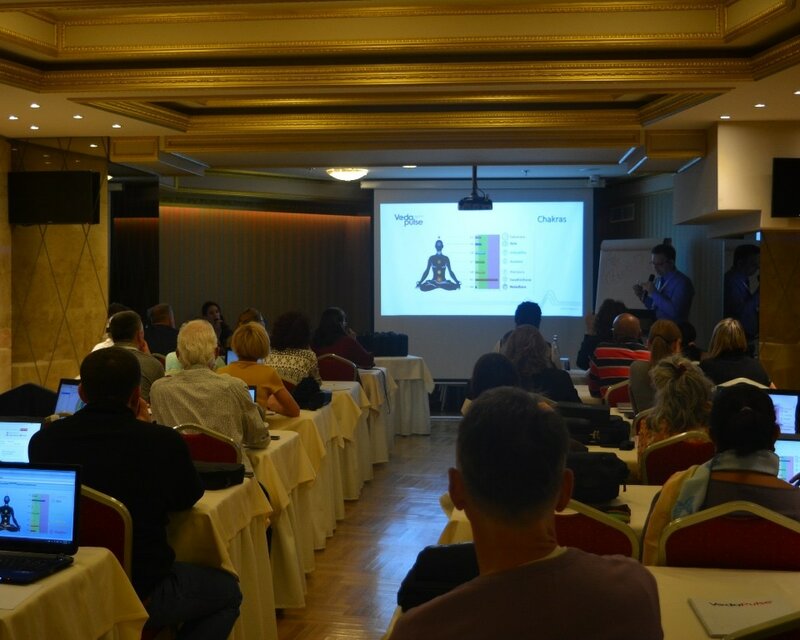 Lecture of our TCM expert Sergey Kosintsev was intended for everyone who is using classical acupuncture in their practice. He elaborated theoretical basics and algorithms that lie in the basis of Acupuncture expert module. Also, on the same day we introduced a joint development – GDV Pulse technology. Our expert Alena Yanovskaya explained the unique features of the new technology and its benefits for the specialist. More information about this device can be learned here. Finally, this day ended with a large practical work, where Dr. Oleg Sorokin explained in detail how to properly filter the data to receive accurate and repeatable results, making a special emphasis on the very complex phenomenon – non-stationary period. The highlight of the third day of the forum were series of lectures by Oleg Sorokin about the connection between basic constitutional types of Traditional Chinese Medicine and Ayurveda. These lectures were introduced to the international audience for the first time and represent a part of the Dr. Sorokin’s book on clinical constitutional studies that he is now working on. In every lecture Oleg Sorokin made a special emphasis on the cardiointervalogical features of each of the nine constitutional types, explained the connection between clinical picture and specific changes of indices in the main VedaPulse modules. He also introduced clinical examples and main weaknesses in the context of predisposition to different diseases and made a short overview of the preventative measures that should be recommended for each constitutional type. On the same day we introduced new VedaPulse products and technologies – «VedaPulse Supplements», «VedaPulse Acupuncture», «VedaPulse EHF therapy», «VedaPulse Quantum». On the last fourth day we had a round table discussion with experts and company employees, during which participants had a chance to ask questions amassed during lectures and workshops. The day ended with the closing ceremony and awarding of all participants with Certificates. Upgrade for VedaPulse software from November, 9.